Finally, we revisit the emerging transportation information layer and how such services may change public behavior and the auto-ecosystem. 33mb mp3 about 63 minutes. Why the world’s cheapest car flopped. This entry was posted in Apps on October 22, 2013 by Jim Zellmer. I think Tesla could be successful even if they are not particularly disruptive. One successful outcome would be for Tesla to be bought by a larger company in a few years – maybe Chrysler, Mazda, or some car company from China or India looking for luxury brand presence in the US and Europe. You may have mentioned this in an earlier podcast. Disrupting the dealer network in the US would be interesting. Before Apple, it was said that most cell phones were built to make carriers happy more than the people who ended up using the phones. I wonder how cars would change if car makers didn’t have to make dealers happy. Perhaps fewer landau roofs and less rich corinthian leather. A truck or van that was designed so the interior could be cleaned by hosing it out would not be a dealer favorite but might sell well. So the job the Tata does not do well is to make the family of the bride feel confident about the groom’s ability to provide for her? Interesting, and I’m not sure how disruption could solve that problem. I suppose the idea of an easily upgradeable car could work, where the groom buys two more doors, a nice back seat and a big trunk before the wedding. That seems like a difficult idea to actually make work though. You mentioned the high rate of failure of car companies in the early part of the 20th Century in the US. Somehow it reminds me of the high rate of failure generally for restaurants in the US. What opportunities for disruption are there in the food industry? Awaiting the first AsymCrops podcast. I’m really enjoying this series; thanks to all who are involved! A couple of times a book has been mentioned which sounds interesting, but I’ve missed the title each time. I think it was perhaps Infrastructure Innovation – if you could confirm the title please it would be much appreciated! The Rise and Fall of Infrastructures by Arnulf Grubler was mentioned. I added a link in the post. Thanks for listening. Horace was his student when he attended Harvard Business School. The Critical Path podcast where Horace interviews him is one of the best I’ve ever heard on disruptive innovation – highly recommend it. Great podcast – probably the best one so far. It’s great to hear Steve’s perspective and his posts on Omenti are excellent. 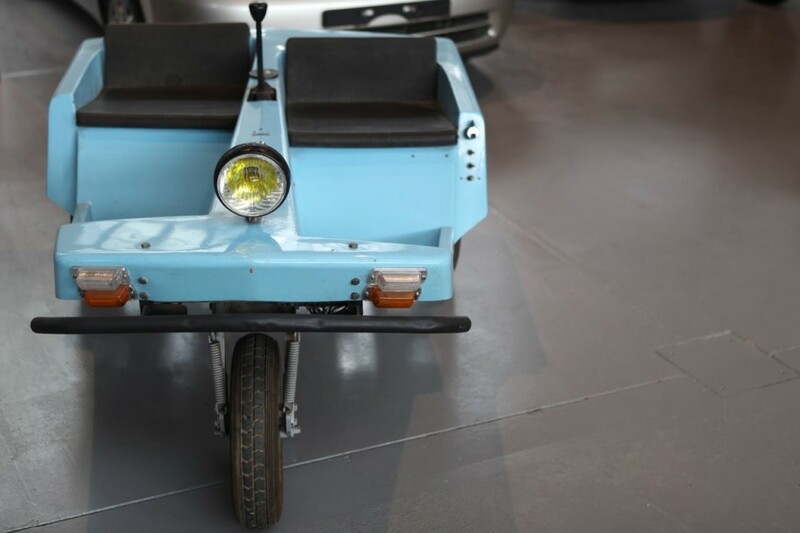 1) Velomobiles. They’re pretty neat and, as Steve points out, very energy efficient. But man, they look pretty dorky. If I’m going to go for efficient electric two wheeled mobility, I’m more inclined to go with something like the Lit Motors C-1. If I MUST go for a bike, the Outrider Alpha 422 is definitely better looking even if it doesn’t offer much in the way of weather protection. Perhaps this is an area where we’ll see some disruptive new approaches – bike builders designing electric velomobiles that don’t look like giant inflated condoms. There is certainly a fair amount of experimentation going on in this area. 2) Infrastructure architecture – namely, if the majority of the OECD have pursued expansive infrastructure build since WWII, what are the implications for when transport needs to shift to less energy intensive propulsion? Abandoned neighbourhoods and suburb developments? I’m reminded of Nicholas Nassim Taleb’s recommendation in AntiFragile – live in cities built before the invention of the motorcar – they’re human scaled and more resilient. 3) Using energy to think about transport. Steve’s post on moving our personal atoms around echoes the approach taken by Tom Murphy’s Do the Math post on electric cars (http://physics.ucsd.edu/do-the-math/2011/08/mpg-for-electric-cars/). It is obvious that electric propulsion is far more energy efficient. Unfortunately, that doesn’t necessarily translate into widespread use. Google researched the most energy efficient transport options a few years back and came up with the answer that rollercoasters and ski lifts were the best, but there hasn’t been any development of them into public transport options. Thanks – and looking forward to the doubling down on Asymcar.